Our mission: To preserve and develop an indigenous wild flower garden with plant species representative of those in the Klein Karoo and marginal Fynbos biogeoghraphical zone. 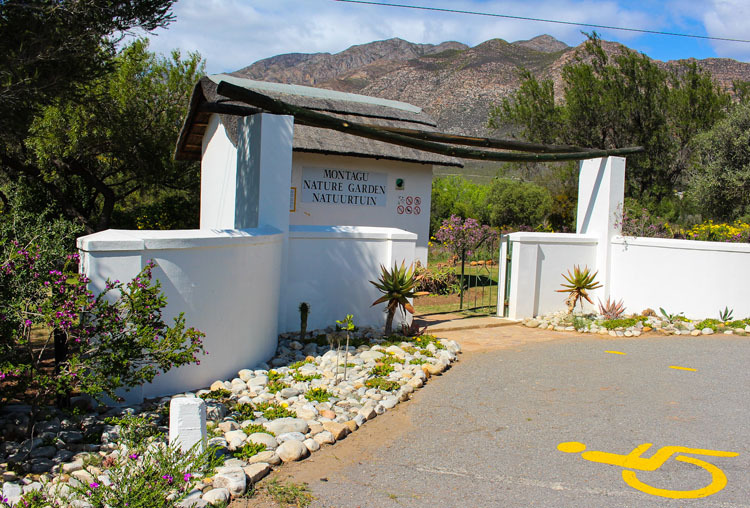 Montagu Nature garden is situated in the most southerly part of the succulent Karoo biome. It has the distinction therefore of having flora of 3 regions of the Western Cape - succulent karoo, fynbos and renoster veld. There are numerous species of succulents, fynbos, geophytes and a diversity of flowering shrubs and trees occur here. The garden is especially known for the excellent variety of Vygies (mesembryathemums), which sets the garden ablaze with colour during spring. Tea and eats are served every Tuesday morning from 10am until 11.30am from April until end October. Parking for the elderly is available in the garden on these days, or by arrangement.